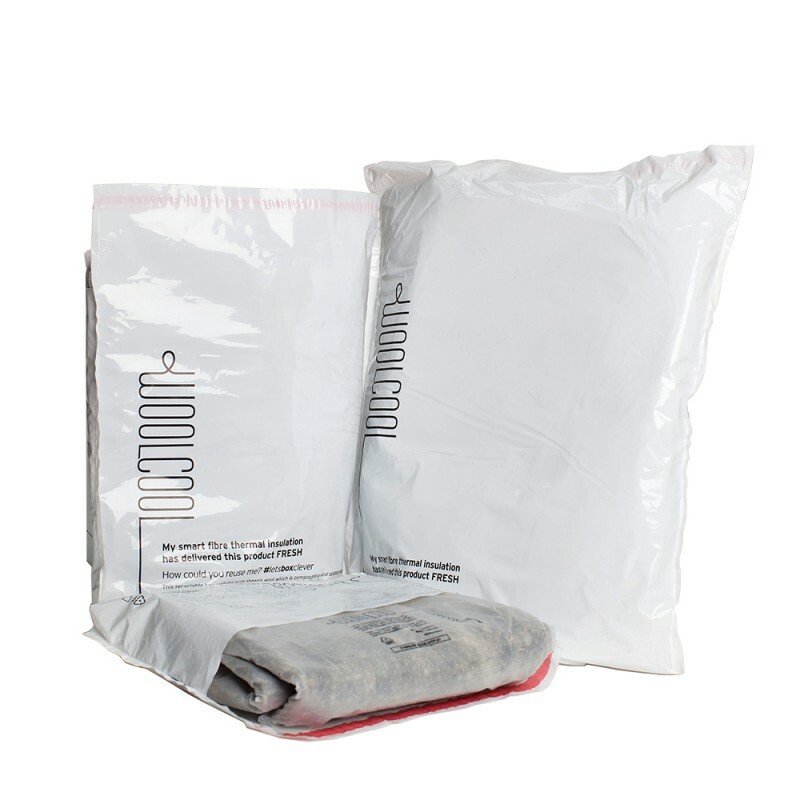 Woolcool insulated pouches were specially designed to provide an effective and cost efficient solution for sending a chilled items within ambient delivery boxes, hampers, gift boxes or marketing packs. In particular the iconic London food emporium, Fortnum & Mason uses Woolcool Pouches in their gourmet hampers! Woolcool ‘Smart fibre’ insulation liners are created by washing, scouring and needle felting natural fleece which is hygienically sealed in food grade film. The insulation is specially designed to line a range of woolcool pouches, by tucking one liner around the sides and another to line the bottom and top, ie. each Woolcool Pouch is supplied with one made-to-measure liner. A gusseted base makes the pouches ideal for small yet bulky items and a broad self adhesive strip prevents contents slipping out. Woolcool pouches are also available as clip-close bags with handles instead of the self adhesive strip. Ice sheets are required to achieve the appropriate internal temperature, (although fewer ice packs are needed than in polystyrene packaging or foiled bubble-wrap) and the insulation then maintains chilled items below 5°c for at 12 to 24 hours. We recommend Sorbafreeze. Note: All prices exclude delivery. Note: All prices exclude Sorbafreeze and delivery. Note: The recommended number of Sorbafreeze sheets are Woolcool guidelines but please trial the quantity of ice packs for your particular application.